The Texas Longhorns Giant Helmet Art is a stunning piece featuring actual 3-D artwork - NO STICKERS! The helmet utilizes layers of dimensional cutouts of the university logo and headgear that is nailed to a solid helmet shell. 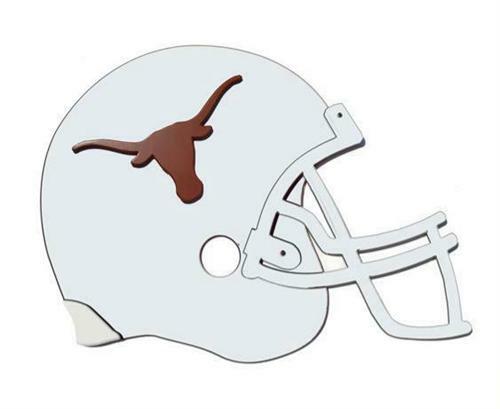 The Texas Longhorns Giant Helmet Art is perfect for a child's bedroom, game room or fan cave!